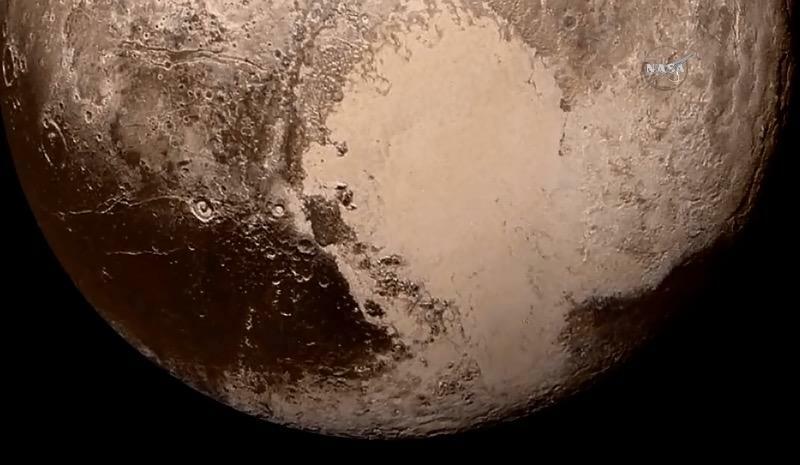 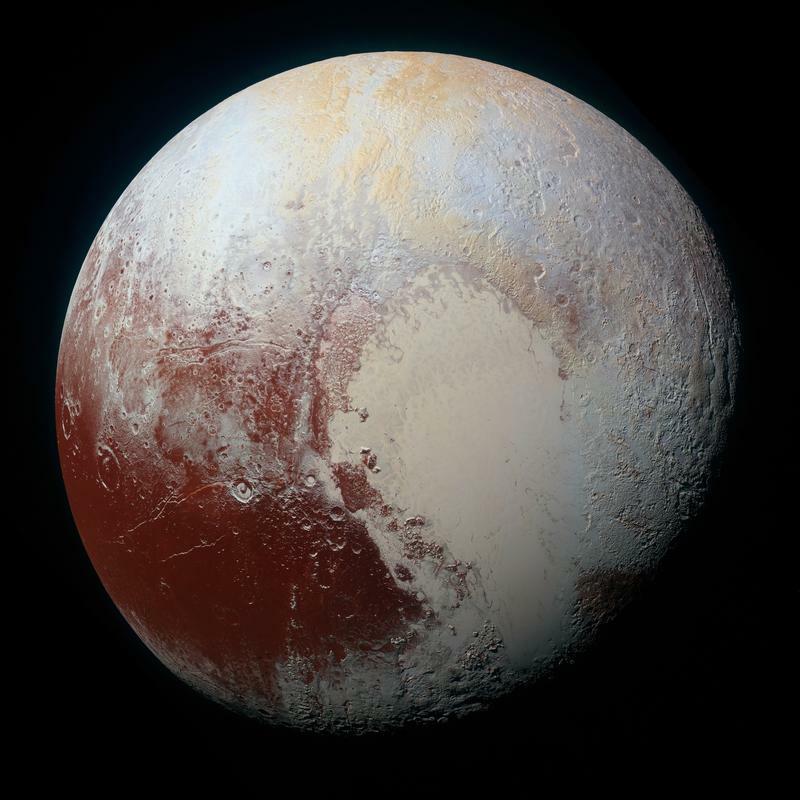 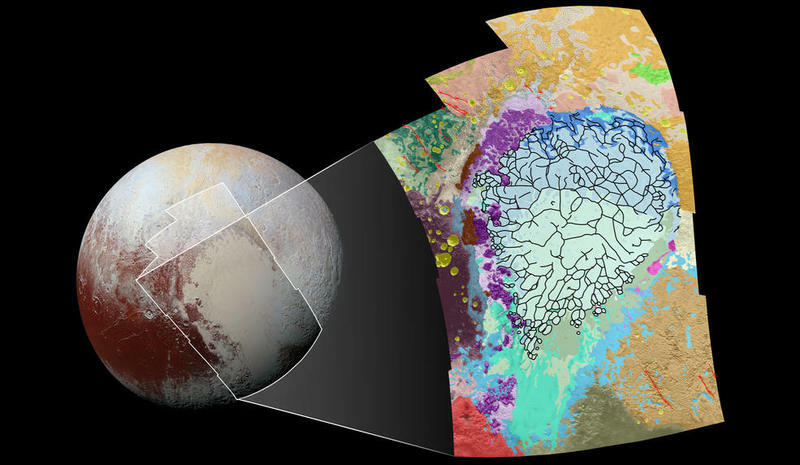 Near Pluto’s heart lies a red-stained region called Cthulhu, which NASA estimates stretches a whopping 1,850 miles long and 450 miles wide; it’s been staring us in the face ever since New Horizons made its flyby last summer. 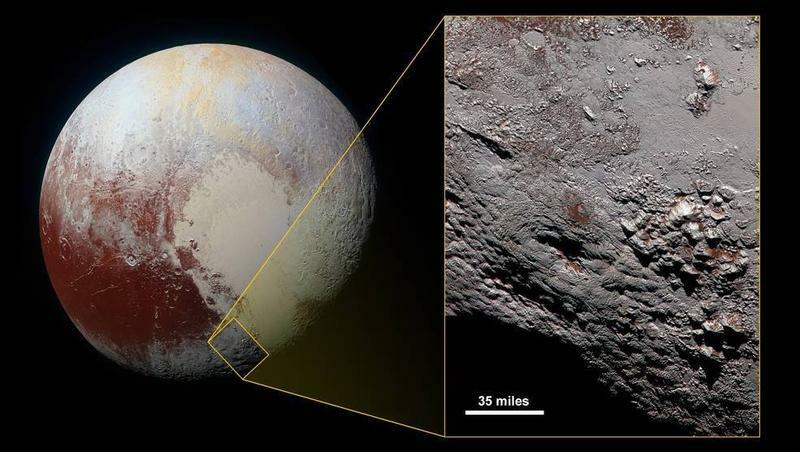 So why is this a particular area of interest? 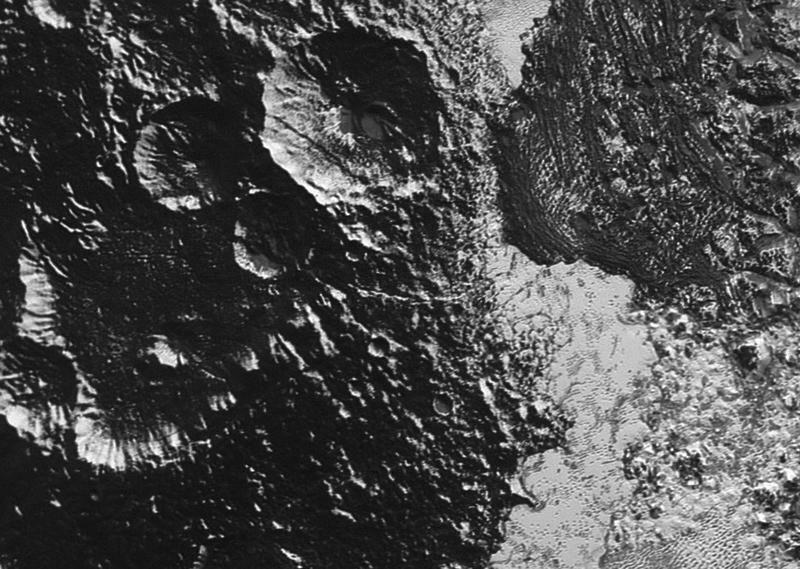 According to NASA, one of Cthulhu’s mountain ranges is covered in methane snow. 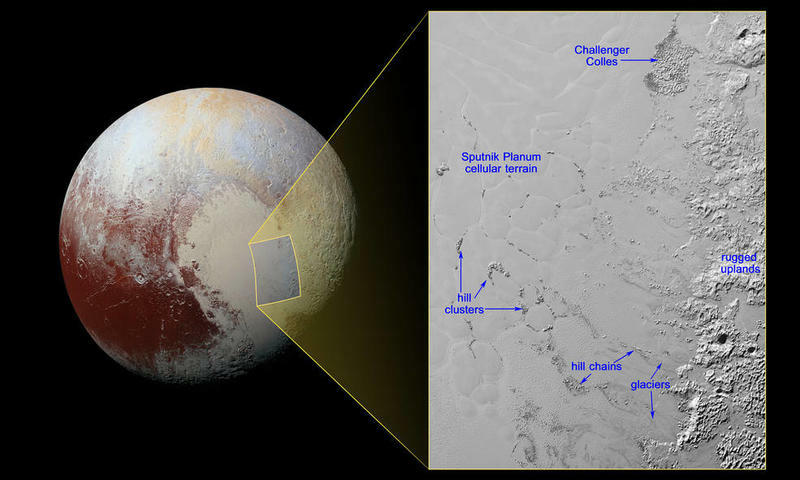 “That this material coats only the upper slopes of the peaks suggests methane ice may act like water in Earth’s atmosphere, condensing as frost at high altitude,” explained John Stansberry, a New Horizons science team member. 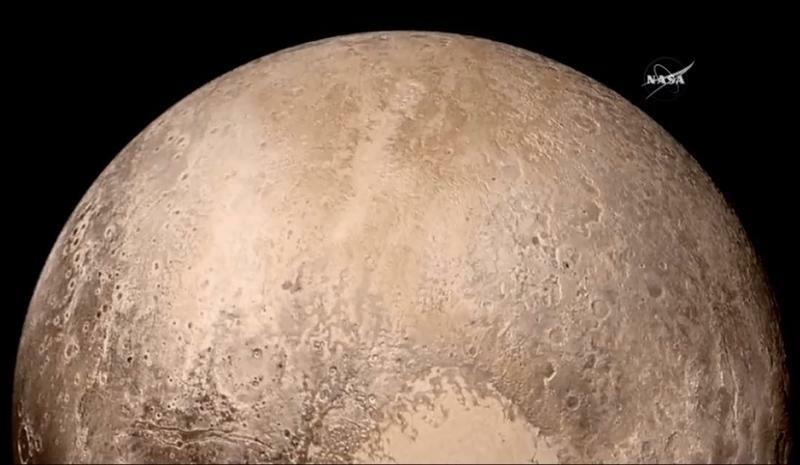 That’s funny because researchers believe recent images sent back by New Horizons revealed the formation of clouds on the dwarf planet. 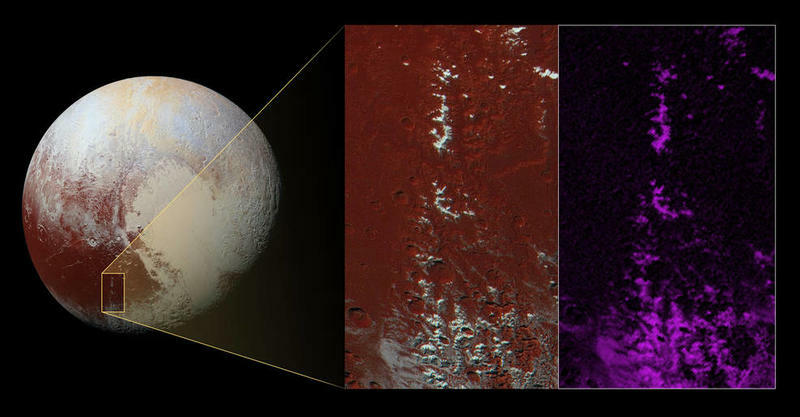 Are the two related? 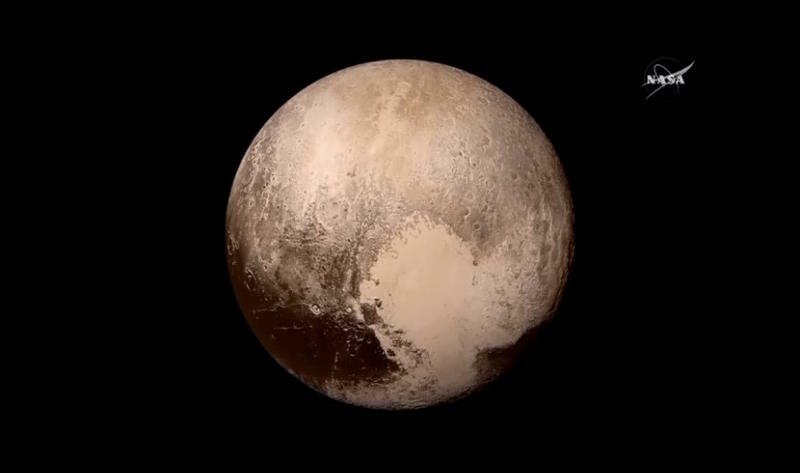 Could be. 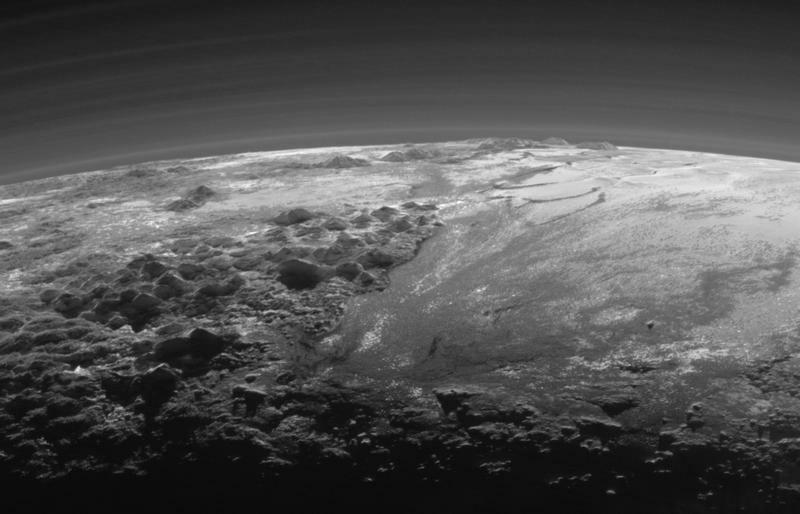 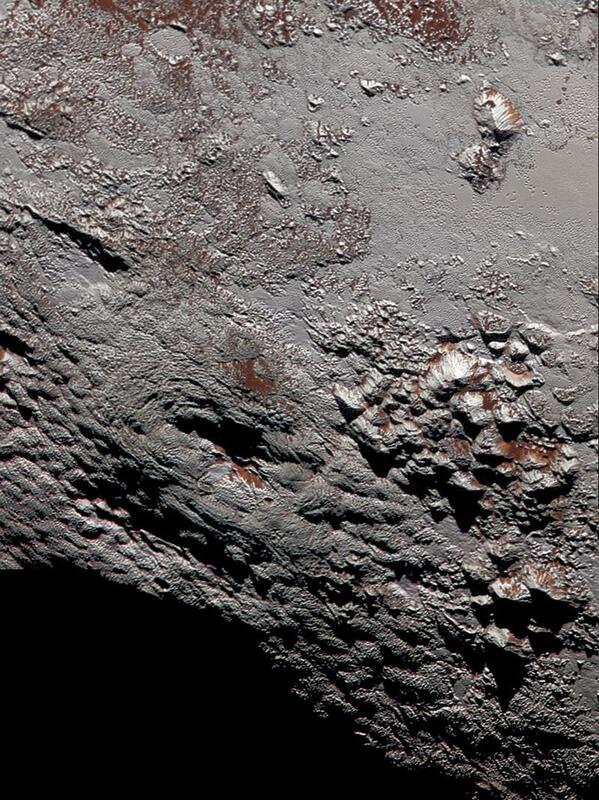 Scientists are already fully aware Pluto is geologically complex, spotting floating ice hills and epic canyons. 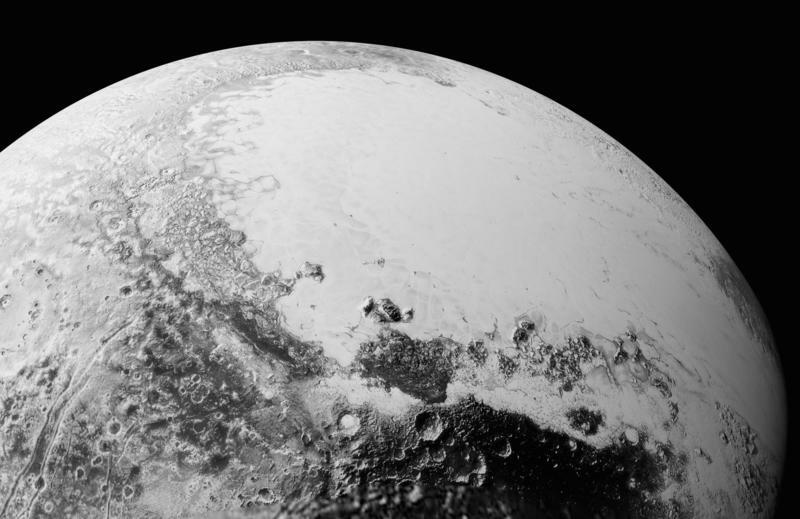 Hearing that there is possibly methane snow falling from Pluto’s sky is, well, almost ordinary at this point. 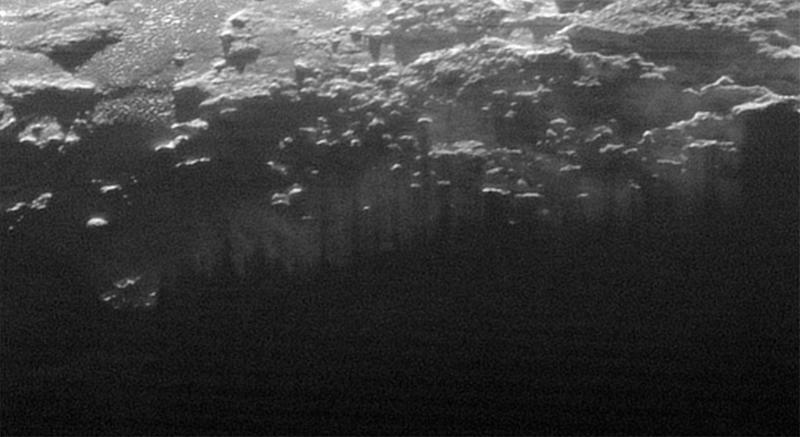 See for yourself in the image above. 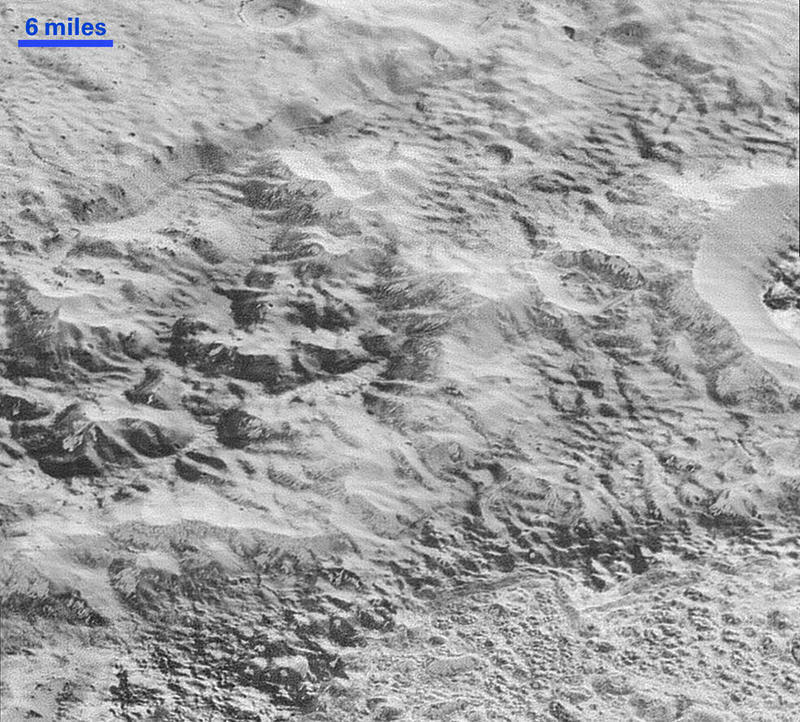 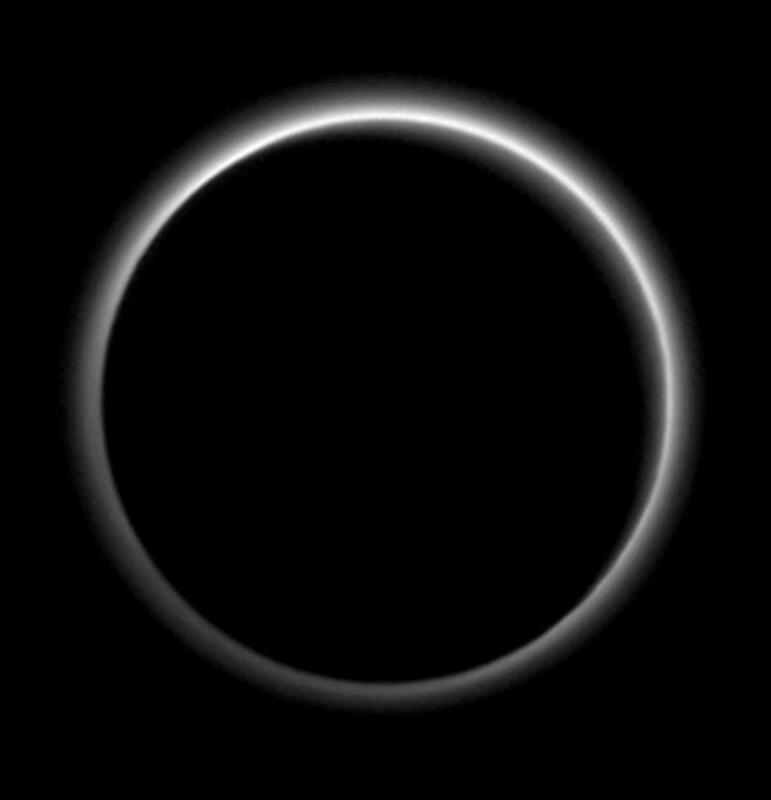 Who will be the first to ski Pluto’s fresh powder?